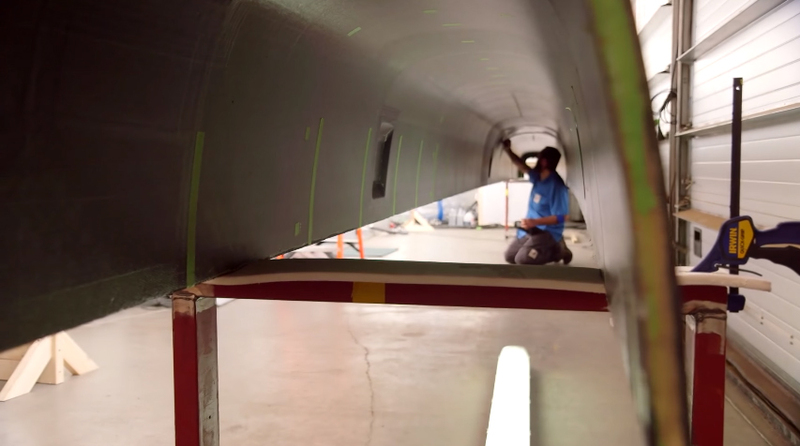 Source: Artemis Racing - Watch video below to see part of the building process of Artemis hulls to be used at Bermuda. Linton confirms on the almost OD looks of the hulls for each team due to rules restrictions, which also defines a key aspect of race foiling : dagger case position.... few little aspects are open in this edition. If they pretend for sailors to define the Cup and lower costs, just wipe out those brute force grinders and race a la standard AC45/GC32 , which tremendous functional sailing work from the crew. Nice story on Paul Goodson on the clip and his path from Laser to Moths and the AC. Paul won the Moths Worlds in Japan 2 weeks ago. Artemis also shows two Nacra F20FCS, an addition to their FPs at Bermuda.